It is a well known fact that adding a suppressor onto many of the common types of GBB pistols will lead to reduced performance and slide cycle speed, while there are suppressors that claim to be 'light weight' available the reduction in performance can still create the need for upgrades to counter the additional weight added onto the barrel. 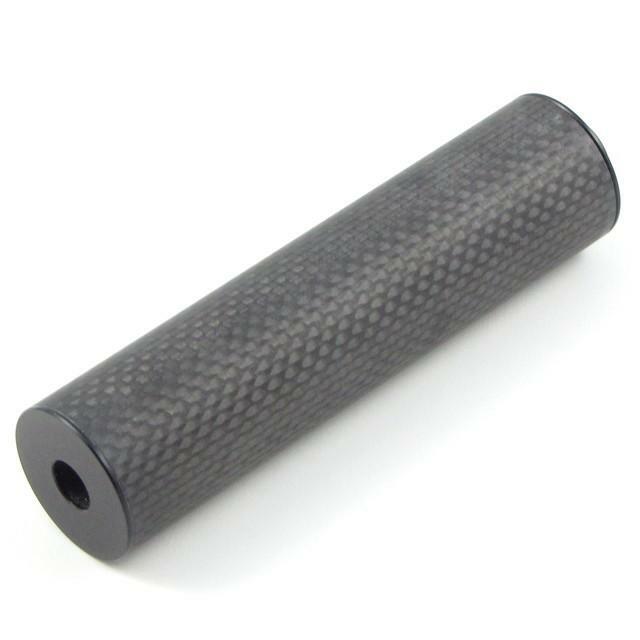 The body of the suppressor is made from genuine Carbon Fibre manufactured specially in the UK for Lees Precision Engineering by a leading manufacturer of composites with CNC machined 2014 T6 aircraft grade aluminium caps. Not only are these superlight but they are also very strong with no corners cut on the strength, the Carbon Fibre body is reinforced with a threaded 2014 T6 CNC machined aluminium insert to increase the strength and lifespan of the threads without adding any weight and the exit end cap is bonded in to decrease weight and avoid threading into the Carbon Fibre which can result in weak threads. 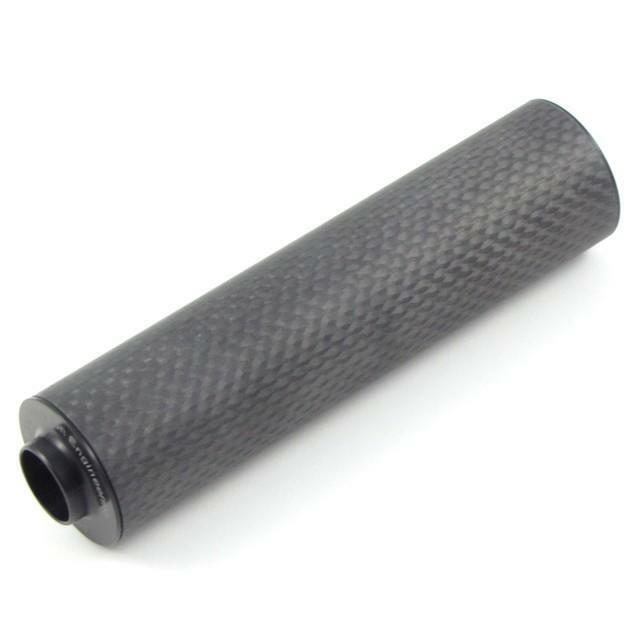 The attachment end cap features a 10mm internal hex key slot to allow for a secure and tight fitting into the body of the suppressor and has threading machine cut to a tight tolerance eliminating the sort of wobble regularly found on other airsoft suppressors.